Trevor Harris is no rookie. He’s not a green quarterback trying to figure out the wacky and wonderful CFL game. And he’s no longer trying to learn all he can from a more experienced pivot ahead of him. What he is, is an elite quarterback who is finally getting the chance he’s been working for since he got his first taste of the league with Toronto back in 2012. Since then, the 31-year-old Harris has suited up for 55 games in the league. He’s thrown 1,534 balls, completing 1,081 of them, for 13,039 yards and 82 touchdowns. But he hasn’t started a playoff game. Not with the Argos, where he played behind Ricky Ray, and not in his first season in Ottawa last year, when the ageless Henry Burris toughed out a knee injury en route to the city’s first CFL championship in 40 years, keeping Harris in the backup role. This time around, however, there’s no question about who will be under centre on Sunday when the Saskatchewan Roughriders drop by for the East Division Semi-Final. It will be Harris taking snaps and dishing out passes to Greg Ellingson, handing the ball of William Powell and answering various versions of the same questions leading up to the game. 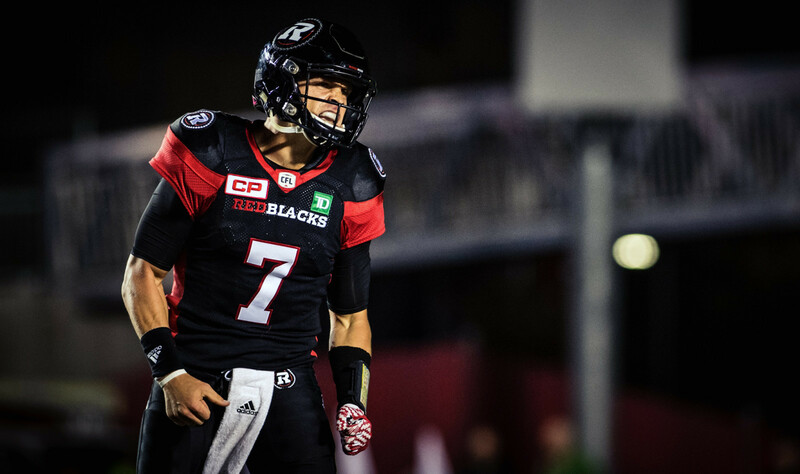 So, Trevor, how does it feel preparing to start your first CFL playoff game? 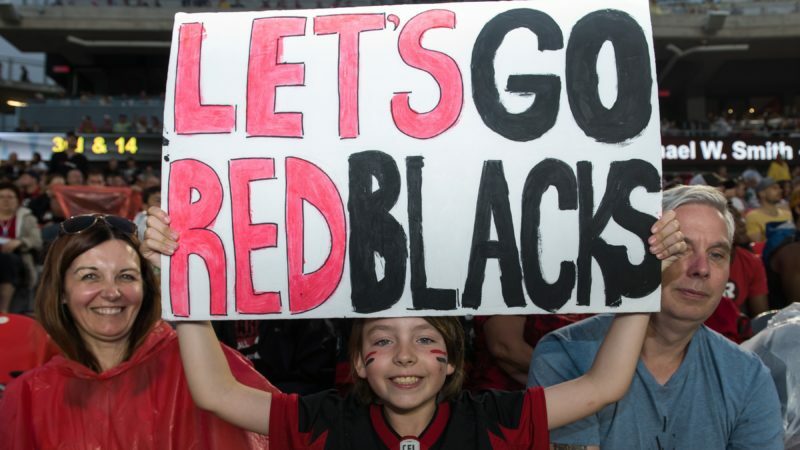 The REDBLACKS were forced to wait for the result of last weekend’s BC/Toronto game to find out if they would host the semi-final or move through to the East Final. With former becoming reality, Harris said the schedule should work in his team’s favour. “I wondered how everyone would feel with not getting the bye week, but I think we’re all more relieved we get to play,” he said. 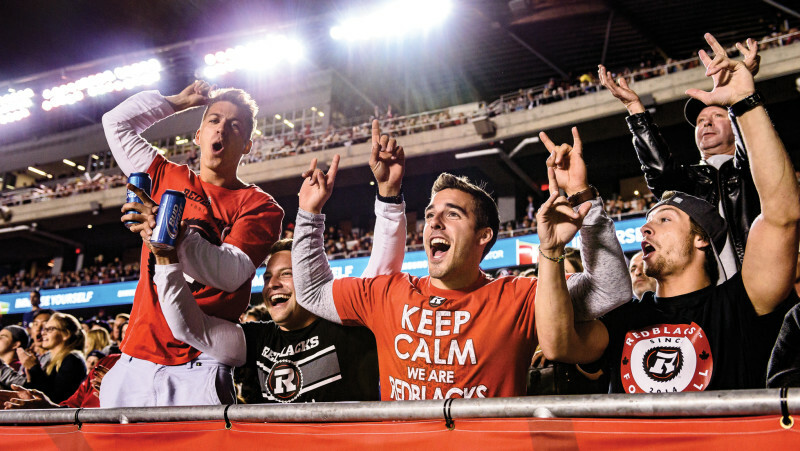 “It would have been a long break (with the REDBLACKS already having two bye weeks in the final three weeks of the schedule). Harris doesn’t expect any nerves to kick in heading into Sunday’s clash with Saskatchewan, nor does he plan to change how he approaches the game. 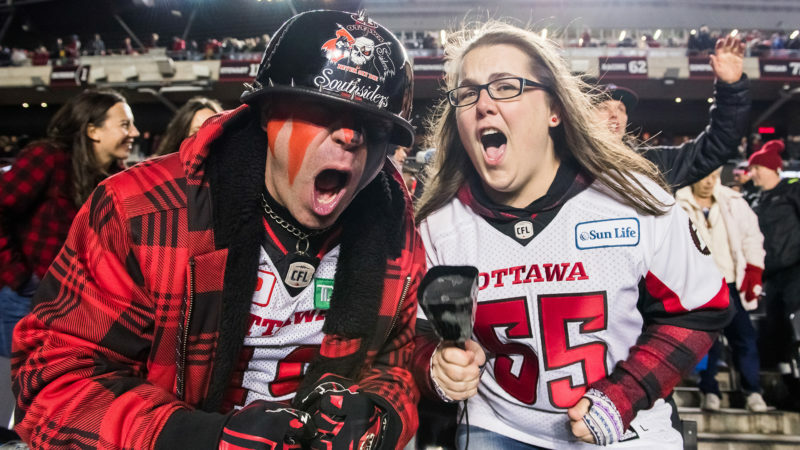 Harris is also looking forward to playing in front of the home crowd in what should be a very loud, party atmosphere at TD Place.